The award winning restaurant, Yalumba at Le Meridien Dubai. Its name and identity stem from the famous South Australian wine region of Yalumba which is reflected in the warm, earthy and organic interior design of the restaurant. Comfortable, soft tones accented with a blend of rustic wood and uncomplicated fabrics make Yalumba homely and inviting. Host to a veritable, variety of prestigious dishes, prepared with the freshest ingredients, sourced from around the world, by a company of first rate chefs, this fully interactive live kitchen, barbeque grill terrace and eatery is a superior culinary destination. The variety and choice of food is remarkable, stretching from Pan Arab, Asian, Indian, European, Yalumba offers cuisine to please even the most discerning palate. 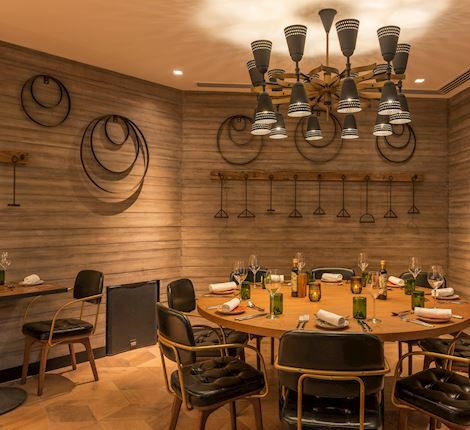 With a dining heritage spanning more than ten years, and a reputation for supplying an unrivalled assemblage of appetizing dishes, Yalumba has positioned itself as one of the most iconic ‘must-visit' restaurants in Dubai. Whether you're a true foodie, social butterfly, happy family, UAE resident or inquisitive tourist, Yalumba possess all of the elements for perfect eating exploits.